Leg workout at the gym = TOTAL JELLO LEGS!! TOTAL JELLO LEGS!! Today was leg day in my world and I actually ventured out to the gym today. Sometimes you just need to get OUT and mingle with your people. Lol. 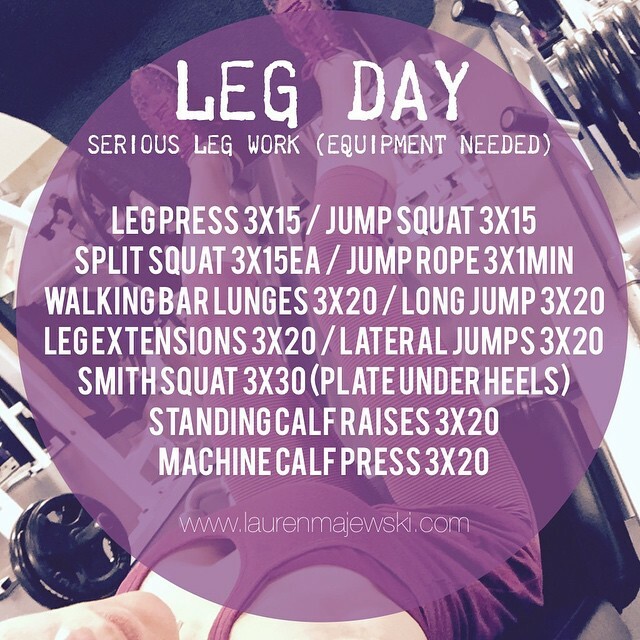 So here is the leg workout that I did today. Talk about jello legs. Sheesh. My bootay is on fire as well. Use a Barbell for the walking bar lunges. Do 10 up and 10 back. Do the exercises as a superset which means to jump directly from one exercise to the other without rest and then rest for 1-2 minutes between sets. HAVE FUN!! Comment below if you do this and tag a friend who would enjoy this one too. Repost it if you like. Enjoy!